2.0 all set to make records in China, after a solid hold in Indian Box Office! 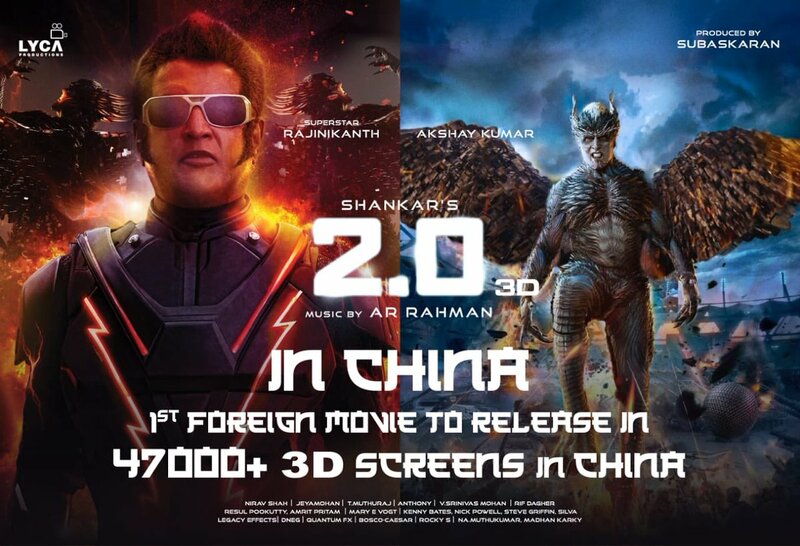 So, after creating records in India, the magnum opus of director Shankar, 2.0 is now all set to make records in China too. A recent tweet by Lyca Productions lets us know that 2.0 is all set to be released on 10,000 theatres and 56,000 screens across China on May 2019. 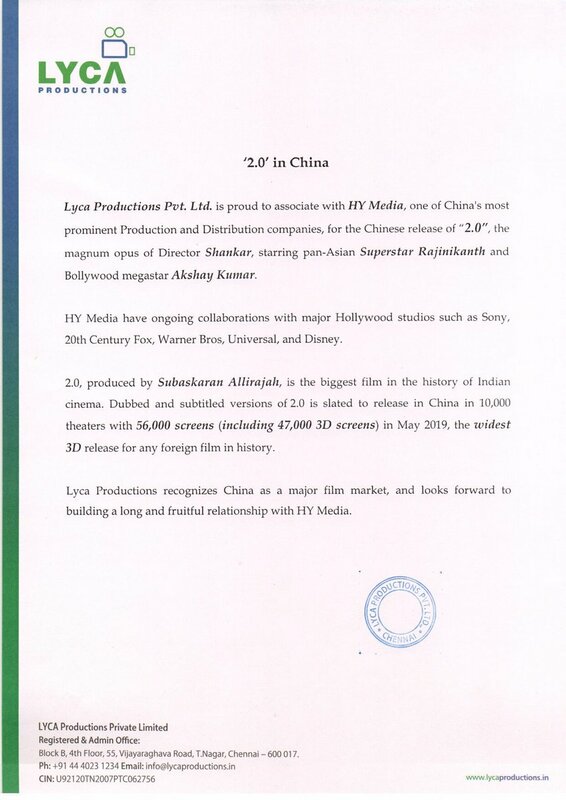 Lyca productions have partnered with HY Media which is one of China’s most prominent Production and Distribution companies. 2.0, starring Rajinikanth, Akshay Kumar and Amy Jackson in lead roles was released in India on 29th November 2018. The film had a strong opening and till today it has garnered a rock solid collection at the Box Office. The business is showing growth day by day and is surely to harbor a good business in China as well. Ja k apni mama se poucha beta ap k baap ka name kia ha ...? Pta chale ga tuje ..